One of my goals for 2016 is to develop regular, quality prayer time alone with God. How do we get in the habit of praying daily like Jesus? Step 1: Set up a regular time. If you do not pray regularly at all and are trying to get into the habit, I suggest that you start by praying at meal times because meals are regular. If you are already doing that, it’s time to advance to the next level. Pray in the morning before going about your daily routine and in the evening before you sleep. This level is particularly challenging because we don’t always hop out of bed. Sometimes we fall back asleep and hit the snooze button a few times. Set your alarm ahead by 15-20 minutes and get out of bed. I know it’s hard, especially when it’s so cold this time of year, but get on your knees and pray next to your bed. If you think you’ll be undisturbed, make yourself a cup of coffee first, have a few sips and then pray. In the evening, try to pray before you lay down so that you don’t fall asleep mid-prayer. Again, this might be challenging. Find a routine that works for you. The scriptures say nothing about Jesus carrying around a scroll of prayer requests, but we are not Jesus. He had divine insight and power. We are far weaker and constantly inundated with distractions. We need reminders. When I took Speech 101, the class was encouraged to write the highlights of our speech on a notecard and then give our speech from memory using the note card as a reference. Certain specificities—like statistics—that would be difficult to remember were also written on this card. While prayer isn’t exactly a speech, it is a time when we approach the throne of grace to lay our petitions before the Lord. Imagine if you were to stand before the Queen of England or the President of the United States and bring them a request. You wouldn’t just wing it, would you? You might, depending on the circumstance, but if you had a formal audience with them, I’d bet you’d take time to write it down. Bring your 3×5 or 4×6 card or prayer journal with your specific requests so you don’t forget to talk to God about them. Sometimes you might be reading your prayer from the cards, but I prefer to think of these lists as the critical points I need to address so I don’t leave them out. I’m going to pour forth what’s in my heart with or without it, but I don’t want to forget that person or two relying on me and other brethren to make petition on their behalf. A Prayer Box. My good friend Sheena shared this with me several months ago. This is a regular old index card box with a prayer request on each card and two dividers: Requests and Answered. As the cards pile up behind the answered tab, you’ll see more and more what the Lord has done. A Prayer Journal. This is similar to the prayer box. Writing down requests, the date you began your requests and writing the date those requests were answered. A War Room. 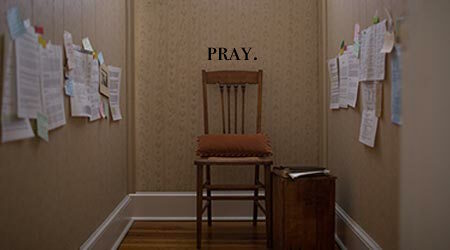 I absolutely loved the concept laid out in the movie War Room of having a small, quiet space to pray with specific prayer requests pinned to the wall. I, unfortunately, do not have a closet that large, so I will be using one of the other two options this year. No matter which method you prefer, get one that fits your personality and run with it. The idea is to help you be more effective in your prayers to God. You may have noticed that this is a step I referred to in my post on Setting Goals that Last. There is a reason I use such a violent word. When we start taking steps to draw closer to God, Satan is going to do whatever he can to stop us. He might bring random distractions, tempt us to sleep, tantalize us with entertainment or, worse still, tickle our pride and cause us to start thinking that we are oh-so-righteous because we pray regularly. Fight. Fight with all your might. Fight your weakness, fight your sleepiness, fight the inertia and fight Satan. Prayer is so critical to drawing close to God. Don’t neglect it. He had ample opportunity to turn back to God, but instead he consulted a phony—a spiritualist! Why didn’t he ask God?? Prayer is not to be taken lightly. Take your decisions to the Lord and ask for his guidance. Jesus—God’s own Son—prayed regularly and for hours at a time. Take note of that also. God’s own son spent hours in prayer. Do you think there is a reason that such a thing is recorded for us? It tells me that making time for prayer is vital. Do you think prayer is important? If something is important, make time for it. How do you plan to make time for prayer in 2016? I’d love to hear your suggestions about what works for you in the comments below. Let’s help each other grow closer to God. Prayer: Our Communication to God. Next Post Do you really know the Lord? 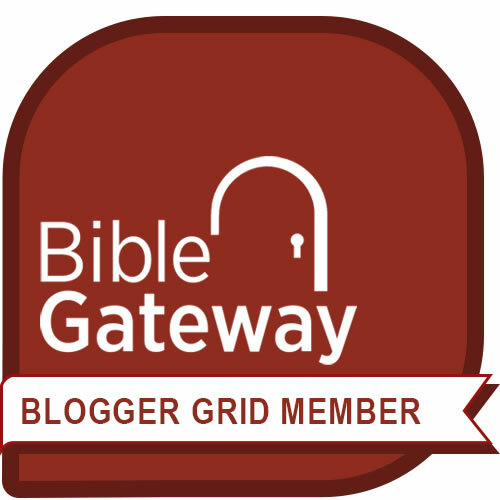 Have you done a post on the best apps to use for prayer journaling? I’ve tried a few free ones on my iPad (ages ago) and currently use one that’s simply called ‘prayer’ but I know these things are always being updated so there may be better ones than the one that I use? Great question, Victoria! I am not familiar with journaling apps. Even as a child of the computer age, I have to admit that I am still in love with pen & paper for the most part. I will check into those, as it would be a great tool for my readers. I am sorry I don’t have more insight. How makes the app you currently use? When my teenage daughter was being treated for blood cancer in 2013 and we spent 20 weeks away from home, I learned to have everything on my iPad mini for portability and to enable me to read without putting the light on. It’s still useful if I want to access my daily devotionals etc without putting the light on because my husband is asleep. While we were away from home, for a prolonged period, for Leah’s bone marrow transplant, a friend sent me a beautiful leather bound copy of ‘Streams in the Desert’ that has become very precious to me. Thank you, Victoria! I will look into that app. I’m also going to check out the streams in the desert. Is it based around Isaiah. How is your daughter now? I hope that the treatment she received has helped her. May the Lord uphold you today and everyday. Streams in the Desert is a daily devotional compiled in 1925 that has stood the test of time and it definitely reaches the parts that other daily devotionals don’t reach – I’ve tried most of them over the years! It’s perfect for anyone experiencing trials and sorrow. Leah went to be with Jesus on the 16th January 2014. Her bone marrow transplant was successful but she became unexpectedly unwell two days after Christmas. I drove her seventy miles to a routine outpatients appointment from which she never returned. Leah had developed side-effects from her treatment. Her final weeks were spent in ICU listening to praise and worship music. Leah was serene and peaceful and told us all how much she loved us, she showed no fear. My princess was ready to meet her King. Victoria, I am so sorry for your loss. I have known a few very dear friends who have lost children over the years, and even though they, like you, knew that their children were safe in the arms of Jesus, it caused them terrible pain. May you always find comfort in the Lord. One of my readers & fellow bloggers, Kathleen Duncan (kathleenbduncan.com) talks about grief on her blog. She lost her son unexpectedly in an accident. Her blog has some good insight. God be with you, and may he surround you with His love and comfort.